This is a handmade linocut print, carved and printed at the artist's home. This is an open edition print that is 15 inches wide by 11.25 inches tall printed on printmaking paper. 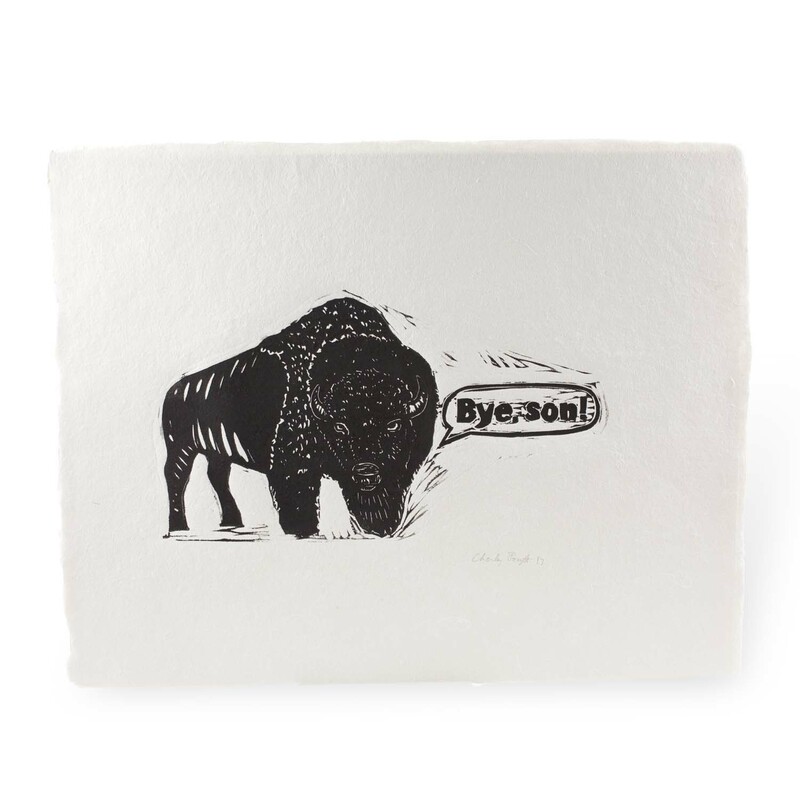 This print featuring a play on words about the Kansas state animal makes a great gift or addition to any home. Handmade by See Force Art of Lawrence, Kansas. 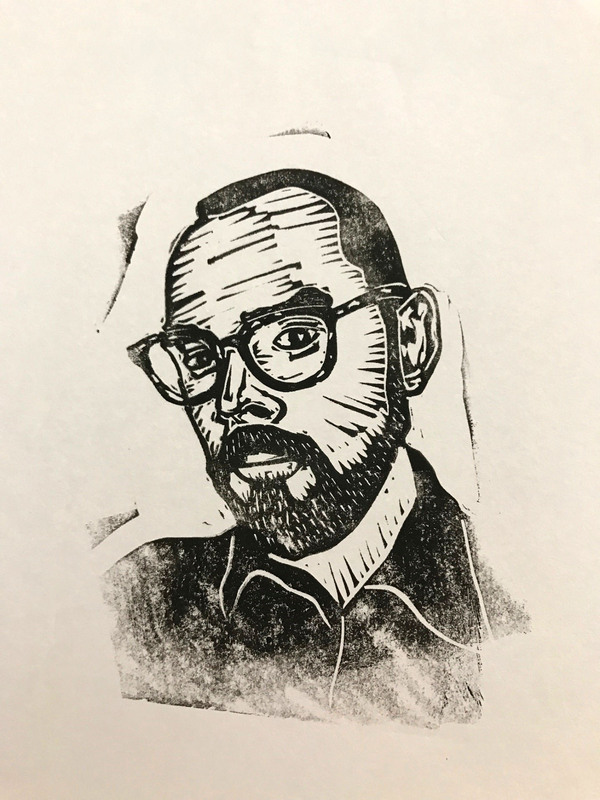 A Kansas native, Charley Forsyth is a seventh grade social studies teacher and printmaker who lives in Lawrence. He carves and prints linoleum blocks by hand, which makes each piece unique. His work includes regional and pop culture influences.